As part of the event, LPC, Inc. detailed study results, which showcased a potential growth market for label printers. 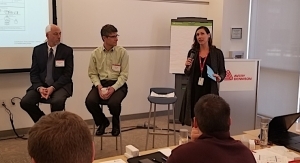 In order to highlight today’s opportunities available to narrow web converters, All Printing Resources (APR) hosted the inaugural Narrow Web Flexible Packaging Summit at its corporate headquarters. 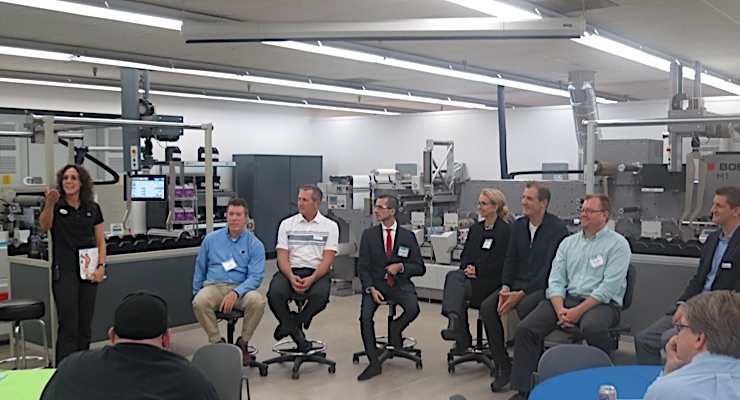 The event, which took place on November 9, 2017, featured presentations, a panel discussion and a live wine label demonstration on Bobst’s M5 labels and packaging press. 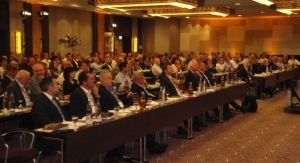 The Summit explored flexible packaging, which is one of the fastest growing markets for flexo converters. 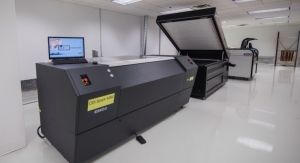 Industry experts also detailed relevant topics such as ink adhesion, prepress and plate consistency, color control, and the rise of LED curing. APR recently commissioned an extensive market research study on the narrow web flexible packaging market. 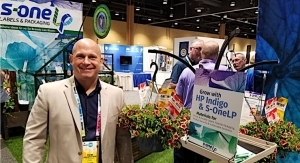 Jennifer Dochstader and David Walsh, founding partners of LPC, Inc., detailed the study’s results, which showcased a potential growth market for label printers. The survey targeted converters, brand owners, suppliers and industry associations. 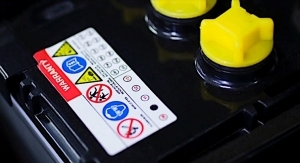 According to Dochstader, labels represent the most fragmented of all the printing and packaging sectors, which makes it one of the most dynamic. There are more than 2,200 converters in the US with annual revenues north of $1 million. Meanwhile, there are 420 converters dedicated solely to flexible packaging. By 2022, the total printing and packaging market is expected to be valued at $85.6 billion, in terms of converter sales. Labels will represent 14% of that space while flexible packaging will make up 34%. In the study, which surveyed more than 40 label converters in the US, 58% have been running flexible packaging jobs for more than 5 years. 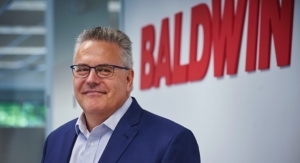 “It’s a very robust sector and one that’s delivering a lot of growth to label converters,” explained Dochstader. Of those converters surveyed, 50% are serving pouches, 44% stick packs, 38% wraps, 19% shrink sleeves, and 13% bags. Opportunities for end users exist in polyethylene prepared meal and entree bags, deli pouches, produce pouches, pet food pouches, specialty tea and coffee pouches and re-sealable bakery bags. 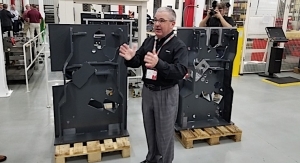 The survey uncovered that 48% of converters are using 10-13” presses for smaller run sizes, while 24% utilize 17-20” machines. Flexible packaging growth is being driven by expanding volumes of applications and label and folding carton losses in some sectors. These represent gains for flexible packaging, with movement away from folding cartons to pouches, bags and stick packs. 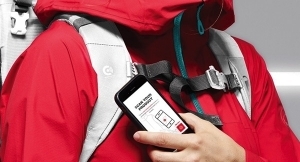 Label printers are looking to expand their businesses for multiple reasons. 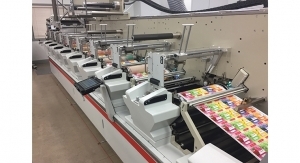 Increasing commoditization, increased conventional capacity in the label sector–and its unforeseen effects on flexo–are causing label converters to seek new sources of business. Flexible packaging is a growth area over the next five years, with the segment expected to rise by 9.73%. The event also allowed industry suppliers and manufacturers to detail their offerings for the labels and flexible packaging space. 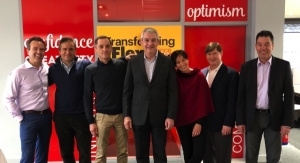 Dario De Meo, area sales manager for Bobst Firenze, said that his company has seen significant growth in the past six years–with the company selling 83 machines in 2016. He expects that number to rise to 100 machines by the end of 2017. Inline flexo presses represent an advantage for converters looking to be present in both labels and flexible packaging. 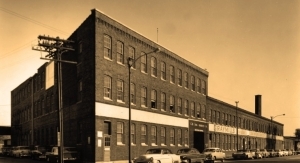 According to De Meo, Bobst’s presses, ranging from the M3 to the M6, provide higher color stability, lower ink waste and higher print definition. 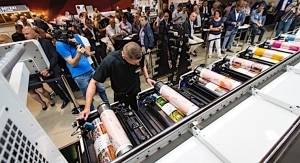 The Bobst M3, for example, is a flexible press designed for labels and packaging, with 50% using the press for the former and 50% opting for the latter. It offers a turnbar, cold foil, diecutting, but with structure and tension control to cover flexible packaging. 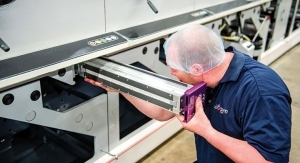 The press can handle 20 micron BOPP to shrink sleeves and self-adhesive stocks. Meanwhile, the M5 press, on display at the APR facility, is a full servo press intended for unlimited substrates. It can also produce folding cartons, and the machine runs at 200 m/m. 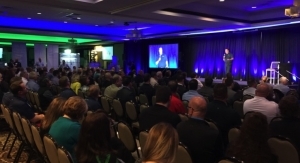 During the event, Haynes announced that APR would soon be upgrading its corporate headquarters with a new Bobst M6 inline press. During the panel discussion, the day’s experts–including Joel O’Leary from AMS Spectral, John Kilbo of Siegwerk, Todd Krupa of Enercon, and Dan Muthig of APR–fielded questions from the 40-plus guests in attendance. 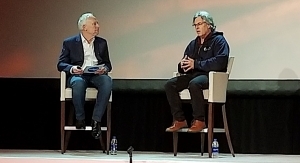 Moderated by Haynes, the presenters touched upon the trend toward low-migration inks–which are not prevalent in the labels space just yet, but need to be for flexible packaging–and LED curing. 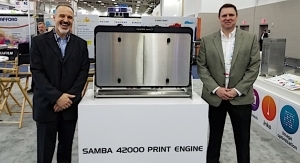 In addition, the panel said that expanded gamut printing can provide converters with consistent color, an automated process and a reduction in ink consumption. “The No. 1 reason brands seek a new print vendor is job repeatability/color consistency,” said Dochstader. 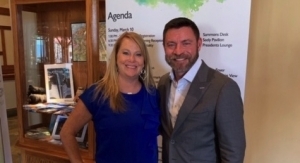 In order to further explore growth areas in labels and packaging, Haynes announced that APR would look to add more open house events in 2018 to provide knowledge and networking opportunities.